How does this group stack up against previous years? What are your thoughts on the depth chart? This was a group lacking any depth the past few years. The FR will be the key. Can they contribute and add significant depth in year one. WR depth may be the biggest question heading into the FIU game. Last edited by tjtlja on Fri Feb 08, 2019 11:04 pm, edited 2 times in total. Ball is a DB. Christian Daniels may be headed here soon. Besides McCleskey and Mooney, who emerges as the number three and four guys? Will we have quality depth? Another tough position to predict and this time. Obviously Mooney and McClesky are 1 and 1A. Behind them expect Sorrell Brown, Ja'Quan Jackson and Jorein Vallien to be the main contributors. Brown or Jackson in particular may emerge as the #3 guy. What type of WR is Brown (we have not heard a lot about him)? Same for Vallien? Is there any possibility that Amare Jones, Tyjae Spears or Yegenio Booker move to the slot given the depth we currently have at RB? Brown is a big guy, 6’2” or taller and over 200 pounds. He was one of the many receivers who got hurt in August. charlamagne’s prediction omitted mentioning Robertson or Toles. If his 3-4-5 guys all get past both of them we’ll have good depth. No way Jones moves from RB. There's a chance that he will be our leading rusher next season. As it is, I expect him to be #2 at least. I say that because Dauphine seems injury prone and Bradwell is a between the tackles guy. 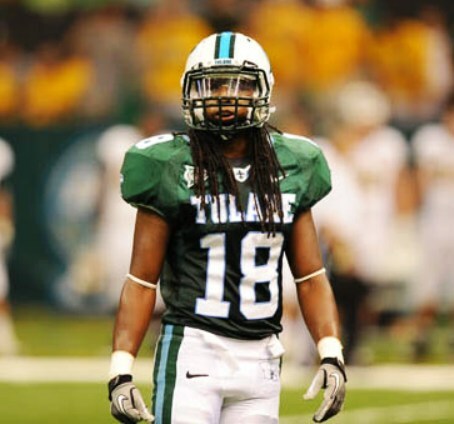 I was really impressed with Jones in the bowl game and think he will be the next great back at Tulane. I also think he can be effective as a receiver out of the backfield. So no way he will be moved. Don't know that much about the other guys and I think Huderson may be the odd man out for 2019. Our numbers at receiver are better than tjtlja thinks. That said, I don’t think it’s out of the question that Booker could be considered for a position switch considering our depth. Huderson did fine in his role. He’ll be #4 at best but he can catch and block and ran for more yards than folks here realize. I actually think that we'll be fine at WR. I'm looking forward to seeing what the new OC Hall will do with the passing game. what is this mythical beast you speak of? Closely related to throws to Tight Ends, these rare creatures and hardly seen on college football fields in the New Orleans city limits or anywhere their natural predator, the green wave, is found. I don't think Jones, Booker or Spears will be moved, either....BUT, I do envision us splitting backs out a lot more than we have to try to create mismatches. Memphis did it a ton with Tony Pollard and Darrell Henderson with great success...Hall did it on film with West Georgia...he also commented that we want to recruit versatile runners who can catch the ball....so I think our RBs will become more of a factor. Conclusion: Unclear? Two of three years we threw more to TEs than backs, but total favors RBs. Either way, can't see a case to be made that we throw "a lot more" to TEs. Bottom line is that those totals to RBs is borderline criminal. Good pickup with the 2016 stats. I forgot that Jones missed that year. Once he came back I was close. Thanks for looking that up. That's catches (not targets), right? Yeah, targets would be better of course, but idk how to find that.